The 1.5 mm tile spacers are recommended for fitting wall and floor ceramic tiles with minimal joints. 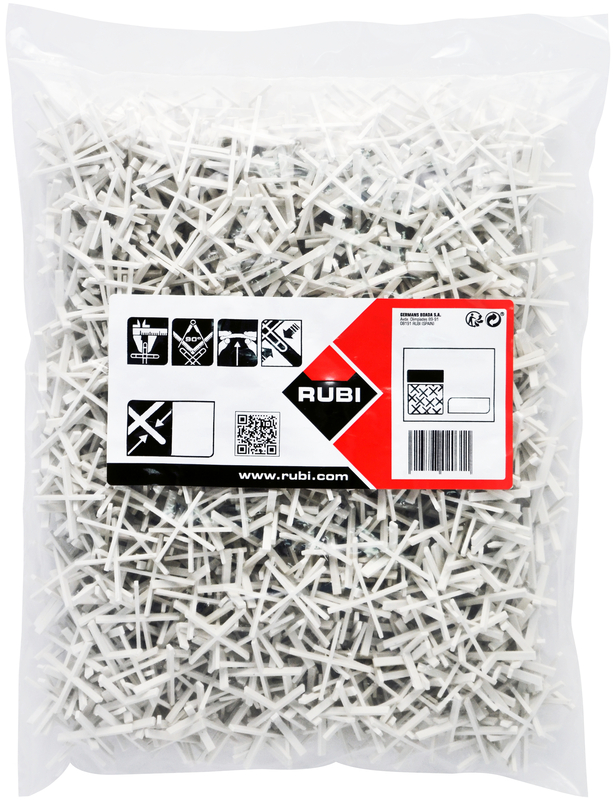 RUBI manufactures 1.5mm tile spacers with a quality base material, meaning that they are completely free from impurities and imperfections. RUBI tile spacers, “T” and wedges are undoubtedly a truly indispensable range for obtaining a perfect finish in any ceramic tile range installation work. The solid structure of the 1.5 mm tile spacers has been designed to provide greater resistance to bending and smashing. Owing to these features, the 1.5 mm tile spacers are highly recommended for large format ceramic tile fitting jobs. Professional fitters are well aware of how important it is to use high quality breakers, since the finish of their work can be significantly damaged by imperfections or irregularities.